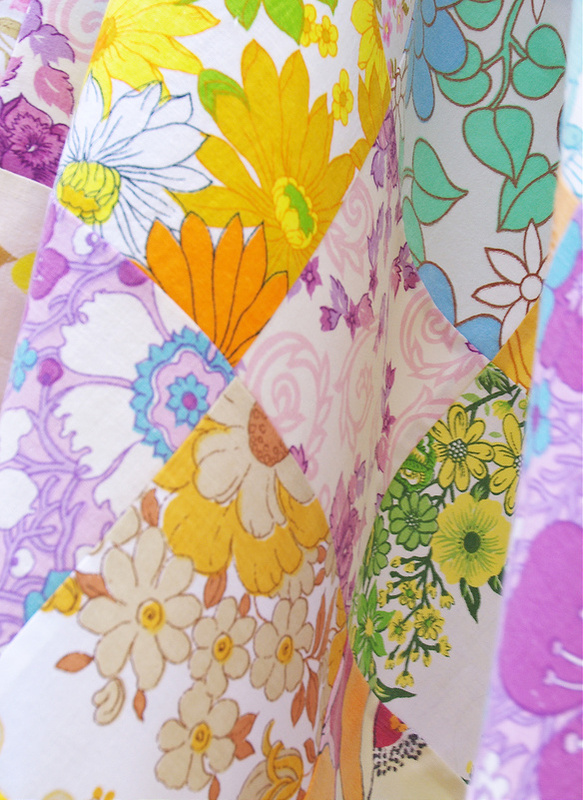 Recently I spent some time sorting out my fabric stash; tidying, folding, editing. My sewing space was out of control! It's a task that is time consuming and usually things get a whole lot worse before it starts to look better. During this process I came across this quilt top that I pieced in July 2014, and at the time I even prepared this blog post (as follows) complete with photos. 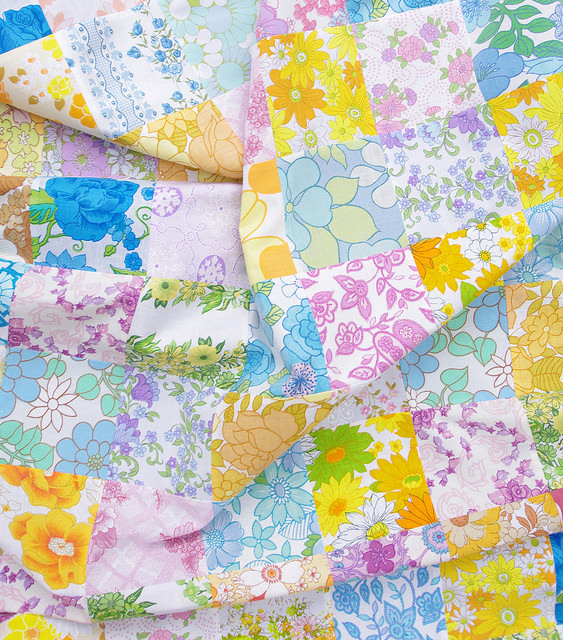 For one reason or another the blog post was never published, and the quilt top was stashed away and not thought of again. Till now. 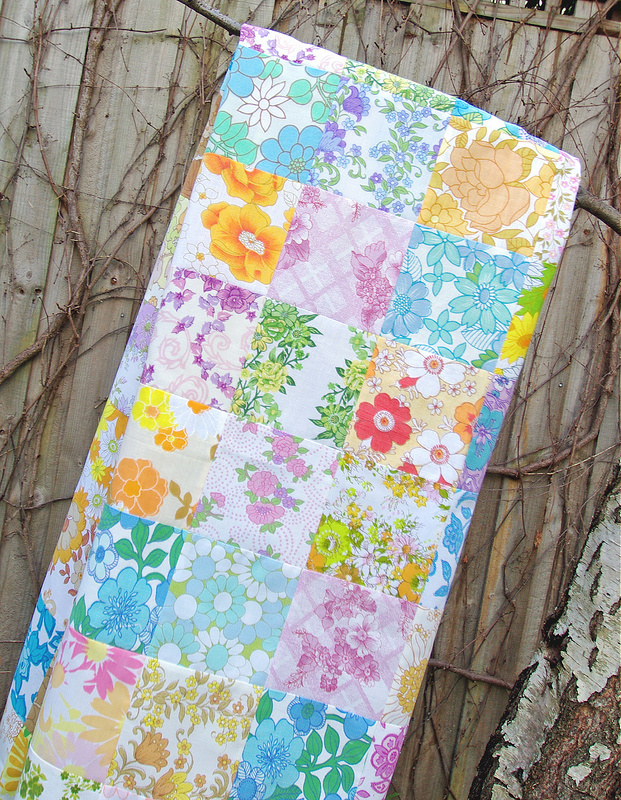 Late June (2014) I went to the Melbourne Craft and Quilt Fair and there I picked up a layer cake (10.5 inch squares) of vintage reclaimed bed linens from The Crafty Squirrel. 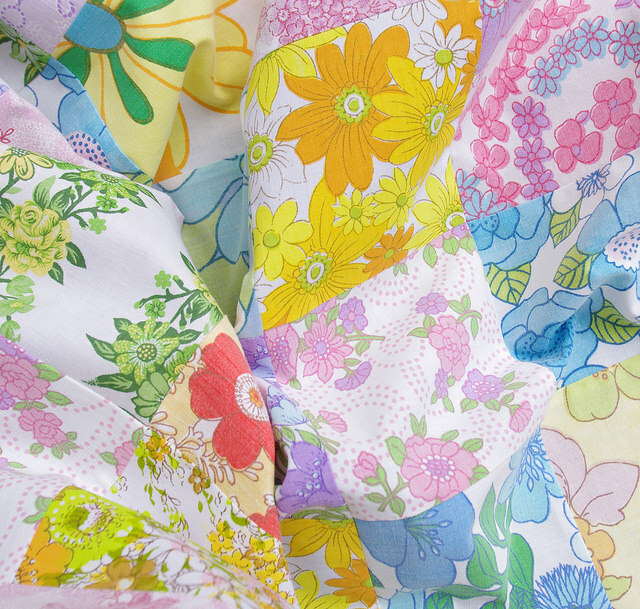 Included in my layer cake were up to 50 or so different pieces of vintage sheets, all florals and wildly colorful. Blue, green, yellow, brown, purple. pink. Cheerful to say the least. The layer cake never left my cutting table, and one night I broke into it, cut all of the pieces into four equal squares (5.25" squares) and stitched up this quilt top. 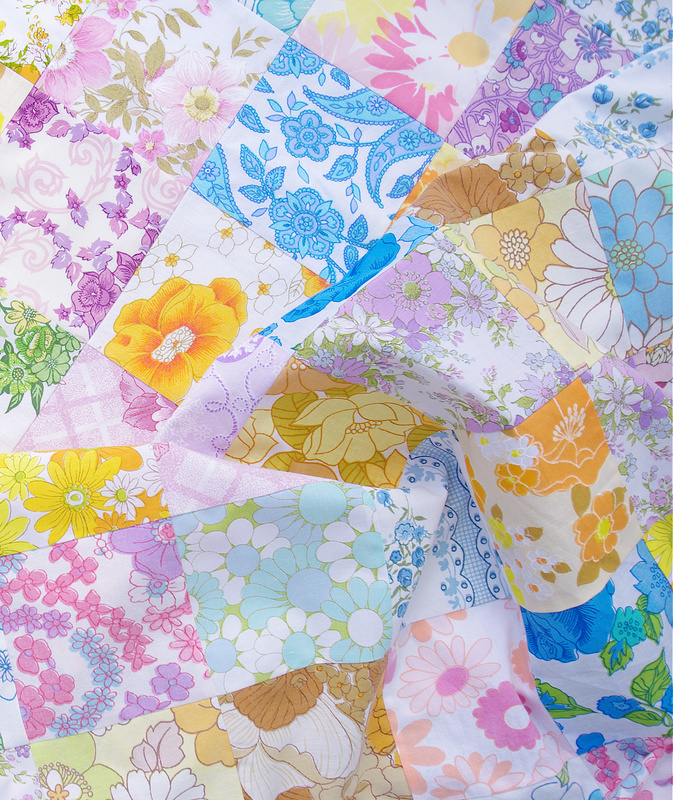 I had great intentions of adding more fabrics and playing with a more sophisticated design, but right then and there I decided that these fabrics needed to stay together, that there was more than enough variety and simple patchwork was all that was needed. Done. 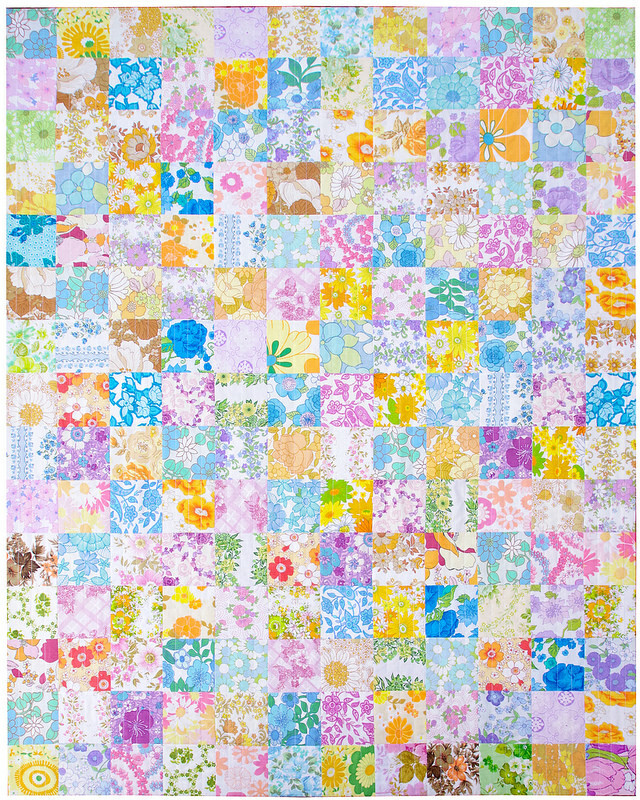 Quilt Top measures approximately 63 inches x 78 inches. .... evoking fond memories and wishing for warm Summer days. I am looking forward to finishing this project with light weight batting and trying out a different binding technique. My grandmother was a prolific quilter. She sometimes used flannel for the backing and no batting. 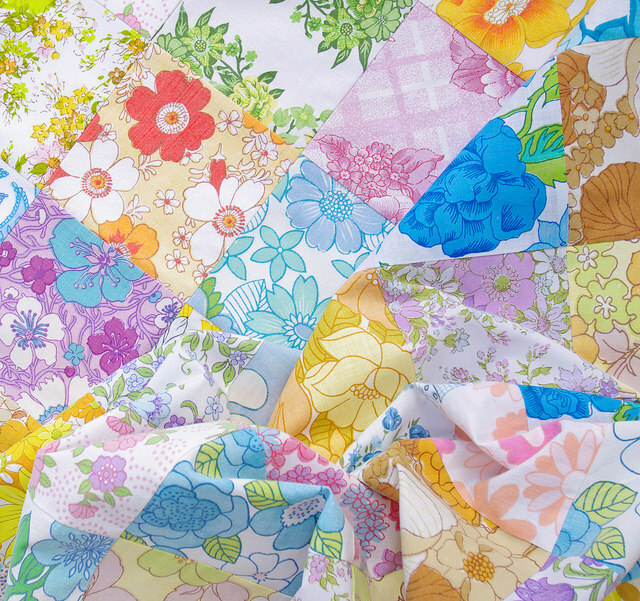 Those quilts were made of silk scraps given to her by a woman who worked in a casket factory. A little morbid, but they were beautiful. 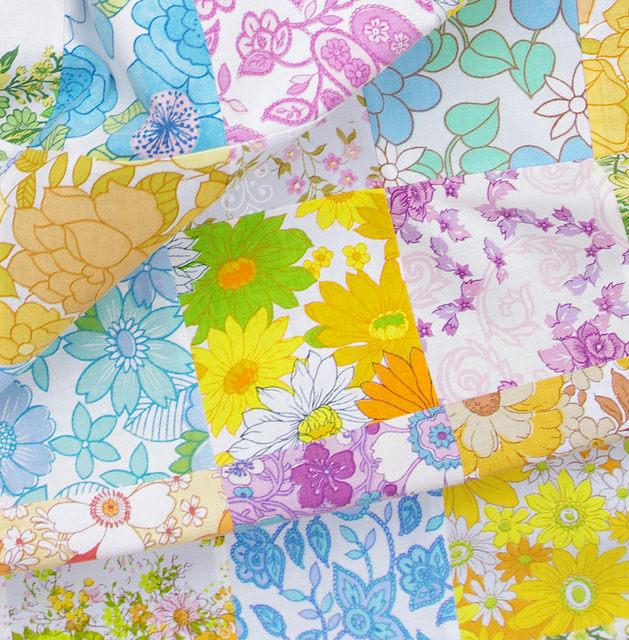 They were normally crazy quilts and she embroidered decorative stitches between each piece in the entire quilt. Sometimes she used flannel instead of batting when she made cotton quilts. They were always hand quilted. 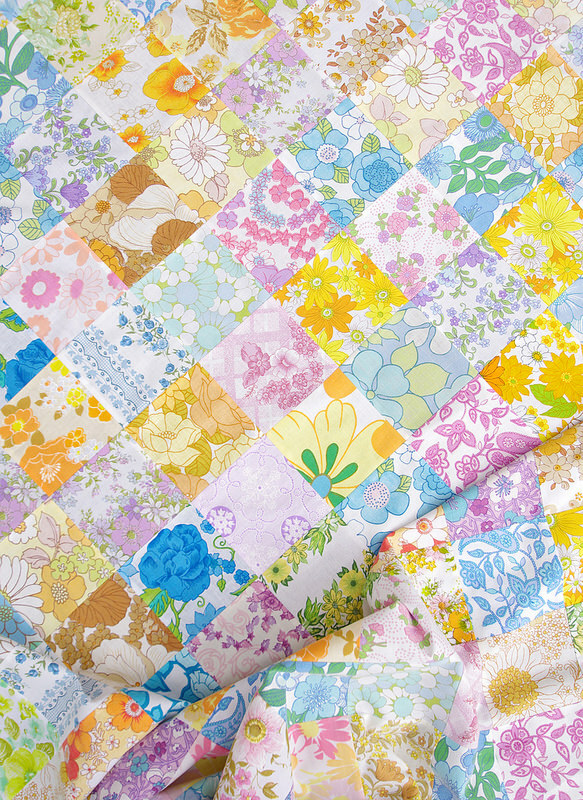 Your quilt is beautiful, but then all that you make are beautiful. Beautiful! 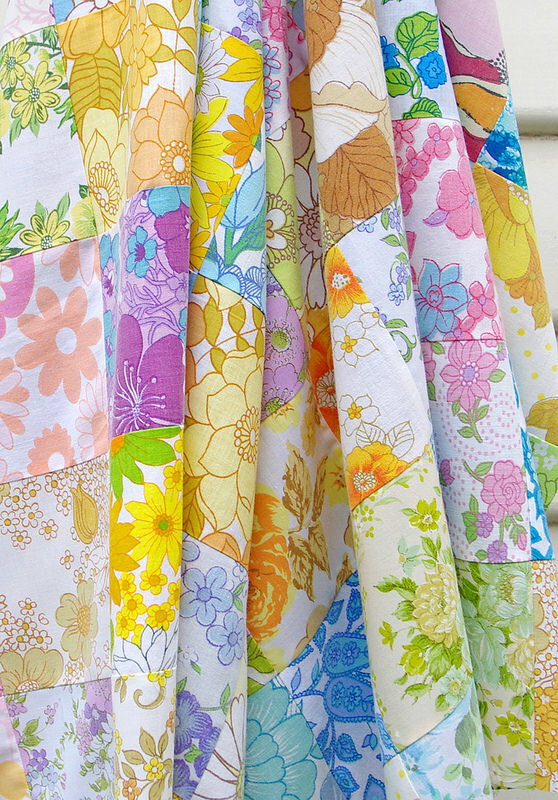 I love quilting with vintage sheets.